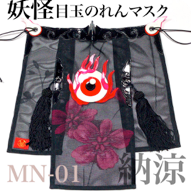 Noren is a cotton curtain hannging at the entrance of shops, restaurants or kitchens in private homes. Entrance is mouth in human. 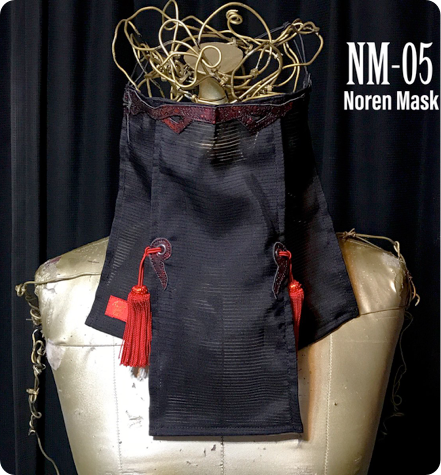 Noren Mask is hanging at the mouth for security.